Night Ranger ‘Somewhere in California’ Frontiers – they have certainly rediscovered their mojo and then some! Foo Fighters ‘Wasting Light’ – a fine return to form with the emphasis on the heavier side of the band’s sound. White Widdow ‘Serenade’ AOR Heaven – more pomp for your pennies! Plenty of glorious harmonies and keyboards as the band surpass their debut and then some. Shy ‘Shy’ Escape Music – a fitting tribute to Steve Harris who sadly passed away shortly after this album was released. Quite possibly their best album. Mr. Big ‘What if…’ Frontiers – hopefully we’ll get another album out of them but if not this is a great way to sign out. Newman ‘Under Southern Skies’ AOR Heaven – for top notch AOR/melodic rock look no further. Steve Newman never fails to deliver the goods. The Answer ‘Revival’ Spinefarm – they have upped their game and produced an album to match their mighty debut. House Of Lords ‘Big Money’ Frontiers – another fine effort and contains a couple of cracking hard rock tunes. Glyder ‘Backroads To Byzantium’ SPV – new line-up including a new vocalist sees the band stretch their musical wings to good results. Credo ‘Against Reason’ F2 Music – quite possibly their best album to date. Lovers of bands like IQ, Fish, Pallas et all would do well to get this CD pronto. Within Temptation ‘The Unforgiving’ Roadrunner – melodic rock meets symphonic metal as the band really find their commercial angle. Some fans might not like it but given airplay the band can become bigger than Evanesence! Uriah Heep ‘Into The Wild’ Frontiers – a real classic Heep album that melds their 70’s sound with a modern commercial edge. Neal Morse ‘Testimony 2’ Inside Out – never a duff album from this highly talented musician. Highly accessible prog rock. Airrace ‘Back To The Light’ Frontiers – it may have been twenty five or so years since their debut but this album rocks! One of the finest melodic rock albums released this year. Robin George’s LovePower & Peace Angel Air – its been a long time coming but well worth the wait as Robin George and his musical pals produce a varied and enjoyable album. All this and it is for various children’s charities as well. Neonfly ‘Outshine The Sun’ Rising Records – debut of 2011 without a doubt. Not since hearing the mighty Power Quest first time around has a melodic/power metal band grabbed my attention. Power Quest ‘Blood Alliance’ – the Quest goes on and sadly with vocalist Chitty Sompala who left shortly after this album was released. If anything slightly heavier than their recent couple of albums. Pagan’s Mind ‘Heavenly Ecstasy’ SPV –only discovered this band with this album and boy what have I been missing? Immense power metal with some damn fine melodies. Arena ‘Seventh Degree Of Seperation’ Veglas Music – new vocalist Paul Mani and John Jowitt back on bass, Arena have produced one of their most accessible albums to date. Sacred Heart ‘Propaganda’ Indie – they keep improving with each album. Lots to enjoy on here. Doogie White ‘As Yet Untitled’ Metal Mind Productions – fans of his Rainbow album will love this and check out the classic Rainbow intro by Tony Carey. Grand Illusion ‘Prince Of Paupers’ AOR Heaven – the Kings of Harmonies are back. Not quite as instant as previous releases but stick with it. Evergrey ‘Glorious Collusion’ SPV – how this band are not bigger is a mystery. More commercial edge on this release. Cold ‘Superfiction’ Eleven Seven – impressive modern rock and novel use of electronics/programming to beef up the sound. Magnum ‘The Visitation’ SPV – Magnum continue their fine form of late with another ‘must have’ album for their fans. 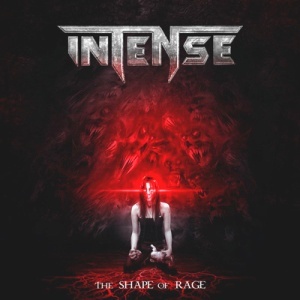 Intense ‘Shape Of Rage’ Pure Legend Records – classic metal riffery and some of the finest metal songs you will hear this year. 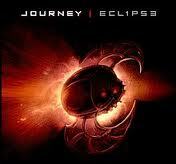 Journey ‘Eclipse’ Frontiers – only just got a copy! Certainly their heaviest album for a long time but misses a real stand out ballad. Queensryche ‘ Loud & Proud/Roadrunner – this band never stop exploring musical avenues and much better than most reviews would have you believe. Voyager ‘The Meaning Of I’ Sensory Records – back to form and includes a fitting tribute song to Pete Steele. Pendragon ‘Believe’ – Nick Barrett & co. never fail to deliver, although I don’t like this as much as the past two releases. Fullforce ‘One’ – classic power metal, nothing more, nothing less and very enjoyable. Jimi Jamison & Bobby Kimball Frontiers – a great pairing and they are given some great songs to perform. Styx ‘Regeneration Volumes 1 & 2’ Ear Music/Edsel – re-recordings with one new song. Dream Theater could have been so much better, it is good but not good enough by their own high standards. Megadeth a lot was expected of the return of Dave Ellefson to the band but the album whilst a solid one, lacks a classic tune or two. Damian Wilson ‘I Thought The World Was Listening 1997-2011’ – a stunning two CD round-up of his solo career to date. Night Ranger Islington Academy – been waiting many a year to see Night Ranger and they were superb. Now can we have Survivor and Boston over next? Big Country Shepherd’s Bush Empire – Mike Peters is a perfect fit for Big Country and the whole band seem to have a balst on stage. Power Quest + Neon Fly The Purple Turtle – sadly the only time I saw Chitty Sompala fronting the mighty PQ but at least I discovered the delights of Neonfly. Trans-Siberian Orchestra Hammersmith Apollo – simply stunning, from the music through to the stage show. Really hope they come back soon and be nice to see the Christmas show on UK soil. Yes Hammersmith Apollo – Benoit David looks comfortable on stage and fingers crossed this line-up can record another new album & tour again very soon. Black Stone Cherry Wembley Arena – you must see this band live – they exude so much energy and good time music. This entry was posted on November 24, 2011 at 12:05 pm and is filed under AOR, Classic albums, Classic rock, Folk rock, Get Ready To Rock!, Heavy metal, Melodic rock, Modern rock, Pop rock, Power metal, Prog metal, Progressive rock, Queen. You can follow any responses to this entry through the RSS 2.0 feed. You can leave a response, or trackback from your own site.